Nathulal has been playing the Nagadas for several years now, performing all over India and has also showcased his talent at numerous festivals all over the world. Nagada also called as kettledrum is a conical drum played with the Surnai and Nafeeri(the two sticks), holds a significant place amongst Rajasthan’s folk instruments. NathulalSolanki, the maestro of this wonderful instrument, hails from the prestigious PushkarSangeetGharana and has many music commendations to his name. Born and brought up in a family of music lovers, he showed prodigious ability of playing Nagadas from his childhood. With the growing years, he mastered in KuchamaniKhayal and staged it all acorss the globe. He has performed with artists such as Prem Joshua, Indian Ocean, Susheela Raman, amongst others. 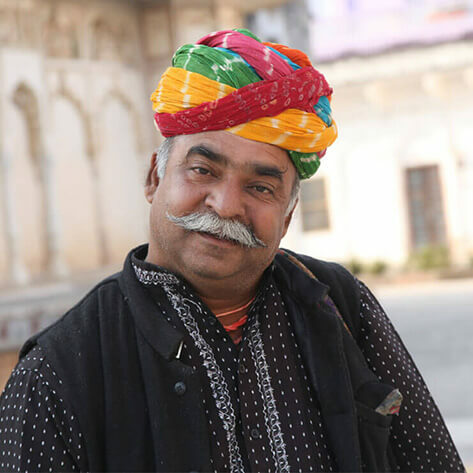 He now teaches the Nagada to people of all ages from all around the world at his own school in Pushkar, Rajasthan.